Home | Don’t Miss Hairspray Jr May 11 & 12! Don’t Miss Hairspray Jr May 11 & 12! You can’t stop the beat in this big and bold adaptation of the Tony Award-winning musical about one girl’s inspiring dream to dance and change the world. 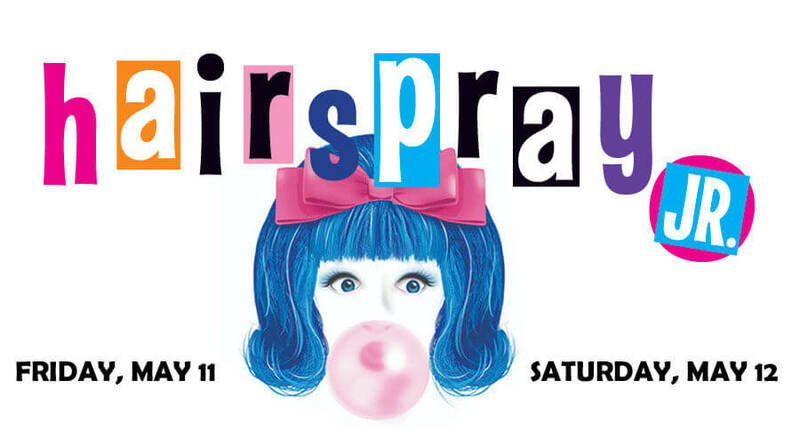 Get Tickets!Hairspray Jr Tickets On Sale Now! The 1950s are out, and change is in the air! Hairspray JR. is the family-friendly musical piled bouffant-high with laughter, romance and deliriously tuneful songs. Adapted from the Broadway production that won eight Tony Awards, including Best Musical, Hairspray JR. is a show that bring audiences to their feet with its positive message and uproarious sense of humor.